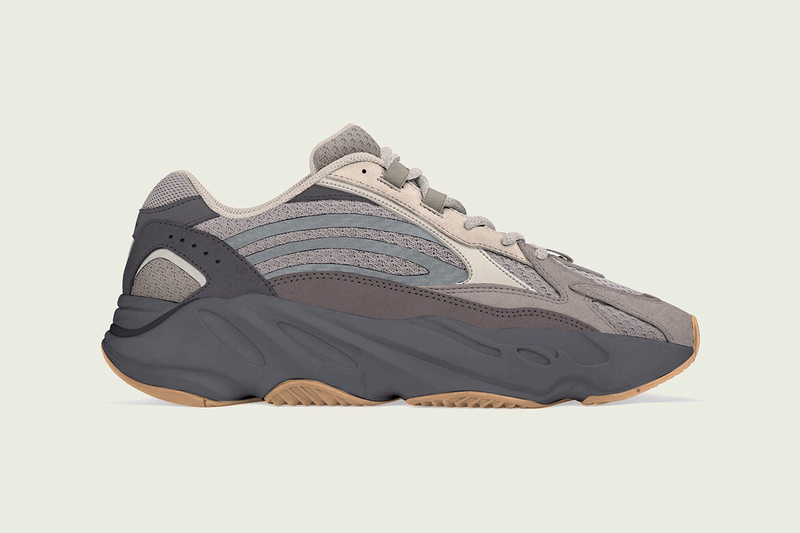 As we await the release of the YEEZY BOOST 700 V2 “Inertia,” we are now learning of an upcoming “Cement” colorway of Kanye West‘s adidas collaboration. Courtesy of YEEZY insiders, YEEZY MAFIA, the “Cement” colorway will feature a grey mesh upper accented by dark grey and beige suede overlays. Additional decorative details come in the form of dynamic reflective 3M midfoot stripes and hits at the heel. Rounding up the design is a BOOST-assisted dark grey midsole paired with a gum rubber outsole. Take a look at the adidas YEEZY BOOST 700 V2 “Cement” courtesy of YEEZY MAFIA above, and expect the colorway to release sometime in Spring 2019. In case you missed it, find out what to expect from sneakers in 2019.